To celebrate the summer in style, the Lightner Museum will be evolving its Lightner After Hours program into a Summer Mixology Series. This is one event we recommend adding to your things to do in St Augustine list if you are planning a trip here soon. The first of the series will be held June 21st, 2017, from 5:30 pm. to 7:30 pm.in the museum’s Historic Pool Area. 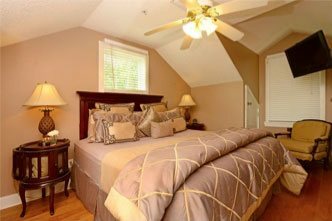 The Lightner is just steps away from the Agustin Inn! No need to move your car. Set out before the sun goes down to see the nation’s oldest city during its most magical hour! Head right to the Lightner for an evening of history and social excitement! The Lightner Museum is adding new programming to compliment the upcoming Dressing Downton™ exhibition, coming October, 2017. The Summer Mixology Series will seek to highlight the social trends of the Gilded Era. This is one of the more popular and iconic changes being the development of the cocktail. Guests will be able to sample specialty-crafted cocktails featuring St. Augustine Distillery products, and enjoy food-pairings while also learning how to entertain with ease and style in their own homes. The Summer Mixology Series will feature three enjoyable and educational nights devoted to exploring the social and cultural history of the cocktail hour. This series will feature some of the more popular spirits of the Gilded Age. Taking place once a month, each mixology event will focus on one particular spirit, its history in America, and how it is best paired with particular flavors. 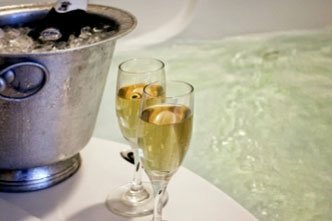 Guests will be able to sample featured crafted cocktails and food pairings. Tickets are $45.00 each and are available online by visiting www.lightnermuseum.org/summer-mixology. 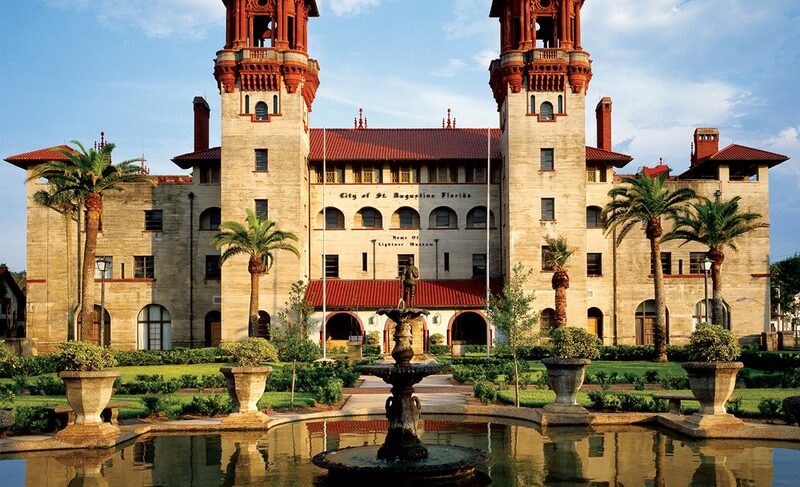 Lightner Museum is housed in the former Alcazar Hotel built in 1888 by Henry Flagler. The hotel was at the peak of its popularity during the 1890’s. More than 25,000 guests visited the Alcazar during those early winter seasons and countless more used the recreational facilities of the casino. For the pleasure of the guests, there was the world’s largest indoor swimming pool at the time, the grand ballroom, sulfur baths, a steam room, massage parlor, a gymnasium, a bowling alley, archery ranges, tennis courts and a bicycle academy. 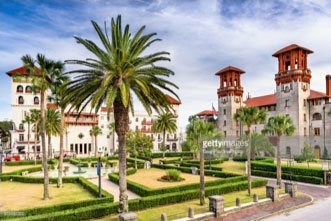 Today the Lightner serves as St. Augustine’s City Hall and is also home to one of the best collections of fine and decorative 19th century art in the country. The Museum is open to the public seven days a week and features self-guided tours, tours by reservation for adults and children, and demonstrations of antique mechanical musical instruments. The Museum is also available for weddings and events. Be sure to browse their website and become amazed at the building’s history and beauty. 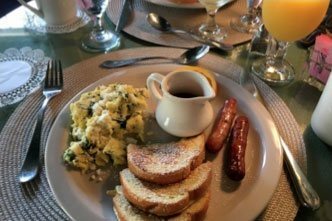 If this is not your first time staying in St. Augustine, you know what we are speaking of! The Lightner Museum is becoming well known for its amazing events among other things. It is also known by many as the best decorated building during the holiday season! That goes into the topic of St Augustine’s Nights of Lights and that is certainly on the list of top things to do in St Augustine! Other amazing attractions and events in our city can be found through our new vacation guide, which we highly recommend checking out especially if this is your first stay with us. Be sure to grab your copy and browse more things to do in St Augustine. If you are into museum and decorative buildings we also recommend checking out the Villa Zorayda, the Flagler Legacy Tour and many of our historic churches throughout the historic area. You will surely be amazed!